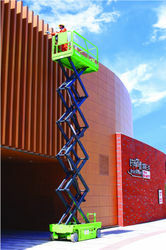 The motorized hydraulic scissor lift is designed for safety to meet or exceed all industry standards. Rigidity guaranteed, high-precision design, high regulation accuracy and optimum performance. 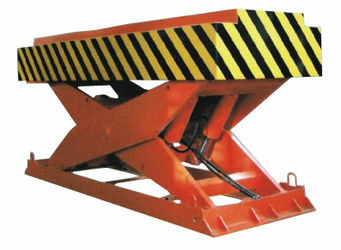 Driven by motor device, it can easily maneuver though the working site. 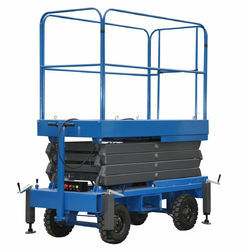 Unique aluminum mast design gives you more safe environment and easy conveyance. 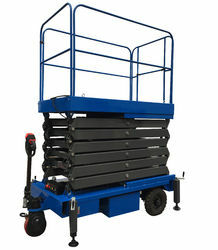 Dual control on ground and platform, it is light and easy to operate, the lift provides a reliable method for lifting people and tools or goods up for various tasks. 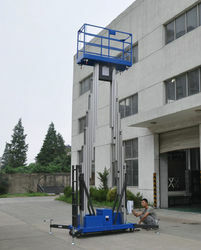 Description of Parallel Double Fork Lift Platform Parallel Double Fork Lift Platforms are specially designed for longer work platform and short lifting distance, which can improve the stability of platform in the largest extent. 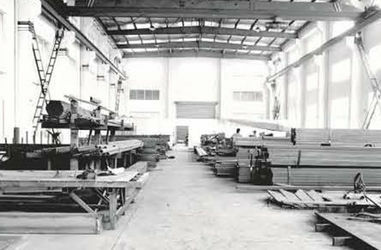 Description of Rail Propelled Lift Platform Rail Propelled Lift Platforms are equipped with rail wheels and propelled mechanism and the lift platform can be moved on the rail. 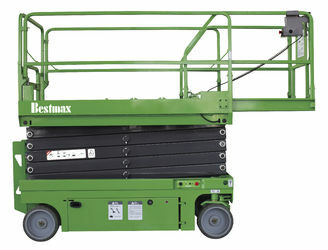 The power: is optional, such as manual, AC power, DC power. 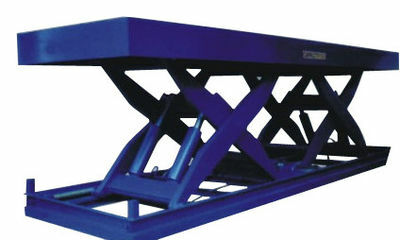 It is suitable to the requirement of heavy loading. 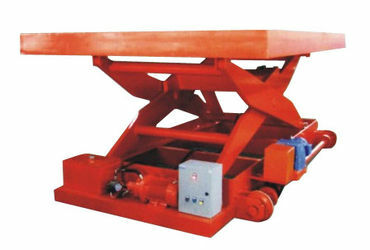 Description of Hydraulic Lift Platform in High Loading Hydraulic Lift Platform in high loading is the equipment with extraordinary loading capacity; it can easily elevate large items, in reliability and stability. 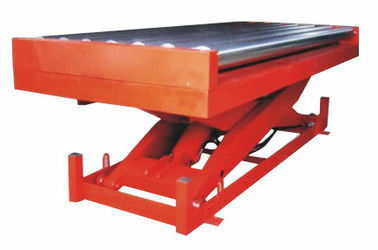 Main Characters of Roller Lift Platform Roller Lift platforms are equipped with mechanical drive or electric drive roller –way to transfer goods vertically and horizontally. 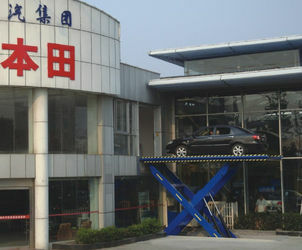 Description of Car Lift Platform The car lift platform is designed for the vertical transportation of vehicles (cars), allowing the cars to have access from the outside of the building (street) into the garage and serving as an efficient constructive solution where, for reasons of use of space, it is not possible to build and access ramp to the garage. 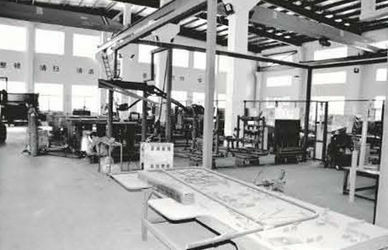 We have a full set of spray equipment line wich can spray the parts with paint uniformly and make the color of the parts vividly. 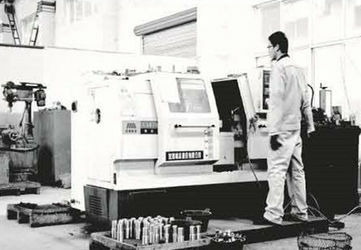 Because of this painting line, the paint of the machine will not be damaged easily. Using the blasting machine to derust the profile can clear the rust clearly. After machine derusting our workers will use the derusting tools to remove the rust that hidding in ther corner. These derusting procedures will add the adhesiveness between the profile and paint. 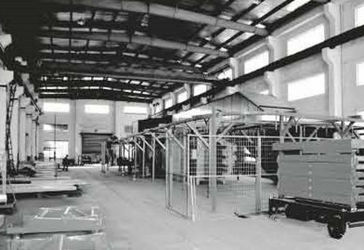 In order to save the cost, most factories do not equipped with the Arc Welding Machine. 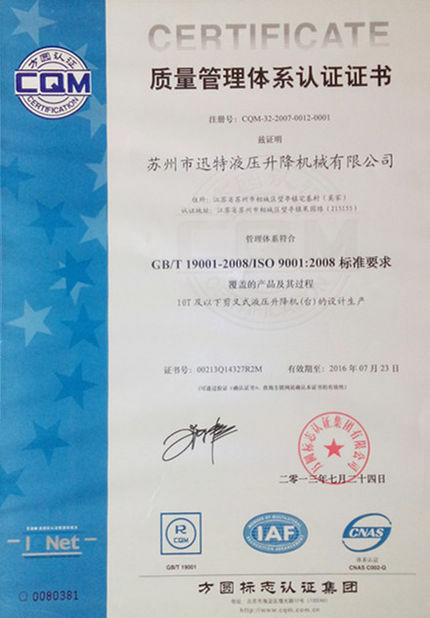 Their workers are using welding torch which may cause the uneveness of the welding seam. 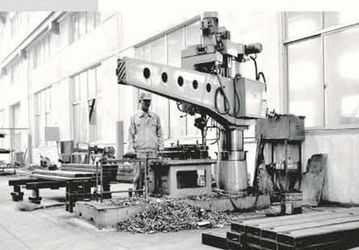 As the machine can weld without stopping, the temperature is set, the welding beam is flat and even. 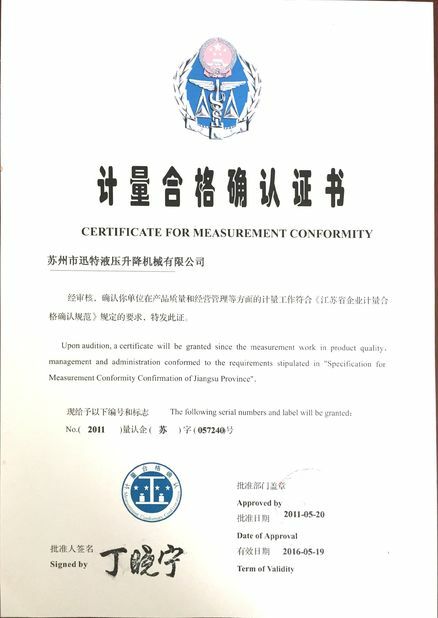 We have more than 11000 quare meters factory to produce nearly 90% accessories by ourselves , not only save cost but also can contrl quality very well , we have manager of each necessary process , regular quality test ,the cord is together with their salary , this year we will have some better and new rules on quality and quantity , please set your heart at rest to do business with us .